The TrailBlazer is effectively another truck-based SUV, so is similar to the Forturner, Pajero Sport, Everest, and MU-7. Where the Trailblazer is different, is that it is the first of the new breed to hit the market as it is based on the 2012 Colorado. 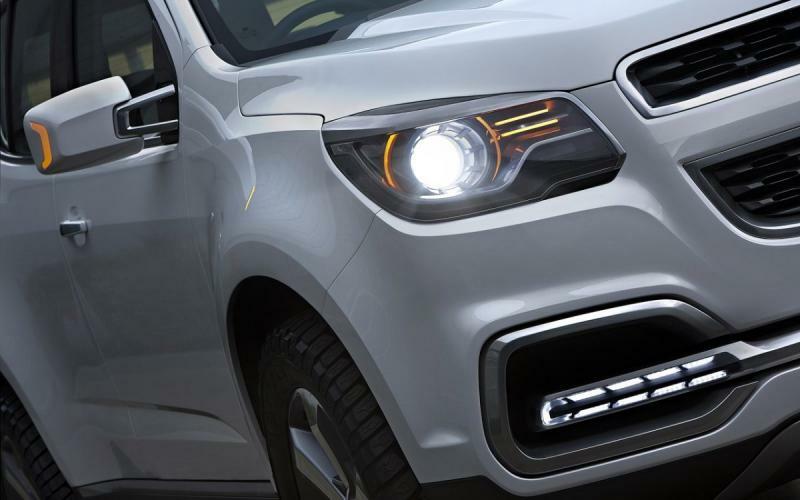 Some have mistakenly assumed that the Trailblazer is a replacement for the Captiva, but despite the 7-seat arrangement these vehicles have very little else in common. But that is not to say that Chevrolet won't decide to drop the Captiva in favour of the Trailblazer in the Thai market. The TrailBlazer actually made its global debut at the Dubai International Motor Show in November 2011, but production and sales are to begin with Thailand, which is the reason for the production unveil here tomorrow. The TrailBlazer will no-doubt be marketed as a "lifestyle" SUV, and despite the fact that it is based on a ladder-frame chassis it will be marketed to look sophisticated! The truth is that it is a body-on-frame SUV, so the driving characteristics will not be super exciting on the road. 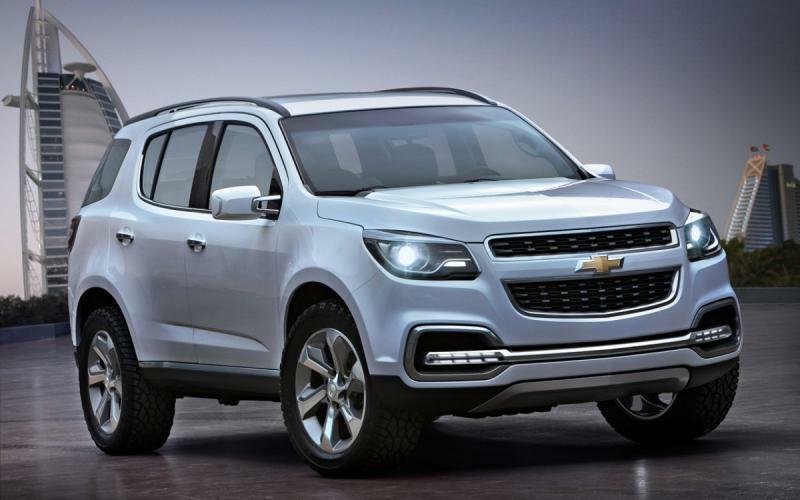 That said, the TrailBlazer will be tough thanks to this layout, and it was developed in tandem with the 2012 Chevrolet Colorado pickup by GM do Brasil. And it promises practicality for those looking for 7-seats and load carrying ability. There should be the same choice of engines diesel engines shared from the pickup, but it is most likely that the new 2.8-liter Duramax turbo-diesel engine, with a variable-geometry turbocharger and producing around 178 hp, will be the most obvious and popular choice for this SUV. During the pre-production unveil, Brad Merkel, GM's global vehicle line executive for midsize trucks and SUVs, talked up the TrailBlazer as having the strength, design, capability and refinement needed to compete with the world’s best off-road vehicles. According to Merkel, "The growing markets of the world want flexibility. 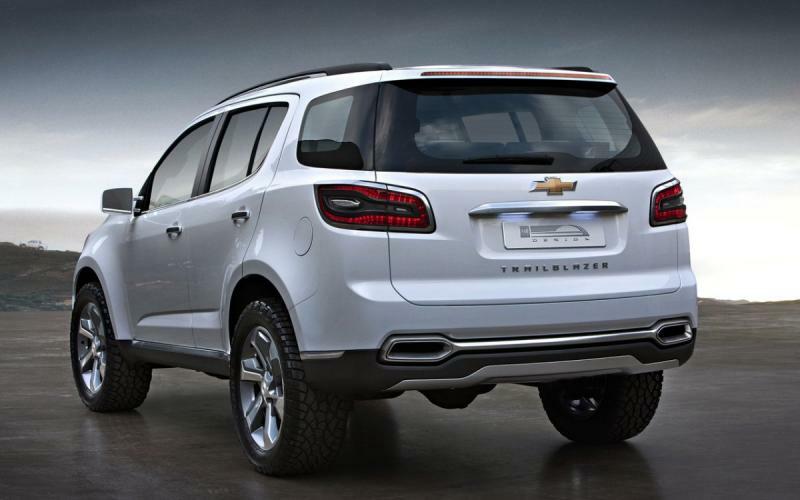 That means power and capability combined with comfort and efficiency; TrailBlazer does it all. You can tow anything, go anywhere, comfortably seat seven people, and do so with the fuel efficiency associated with a smaller, less capable vehicle. It’s the complete package." I know he is exaggerating, but let's hope he is right. I want to be able to tow "anything", "anywhere"! But the TrailBlazer is joining a tough segment and it will take more than words to sell it ahead of the aging but trusted Forturner and the cool Pajero Sport. A replacement MU-7 is likely to follow shortly after the TrailBlazer, and a Everest replacement based on the 2012 Ranger is also in the works. The images here are of the pre-production model, but we can expect the final version unveiled tomorrow to be very similar. And it must be said, this looks like a very good design indeed. The proportions look good, and overall there is little to complain about in terms of the overall look of the new vehicle. The SUV has very short front and rear overhangs in what is known as a “body in-wheels out” design which should provide for high approach and departure angles, supporting the claims of serious off-road ability. The front end will be almost exactly like that of its pick-up sibling, and this is of course going to be a matter of subjectivity, but I personally am not a fan of the design. Am I the only one who liked horizontally split headlamps of the previous generation Colorado (before it was ruined by the facelifts)? Still, the dual-port grille bearing the massive Chevrolet bow-tie is now the unmistakable face of Chevrolet, and like it or hate it, at least Chevrolet have a brand identity that others lack. – that carries a three-dimensional grille mesh. The integrated LED front and rear fog lamps might not make it to production to save costs, which would be a shame because they actually make the design work somehow. But, if the TrailBlazer looks anything like this, I am sure nobody will complain much, and I don’t think many buyers will be put off by any of the styling here. The interior is also modern and nicely conceived. 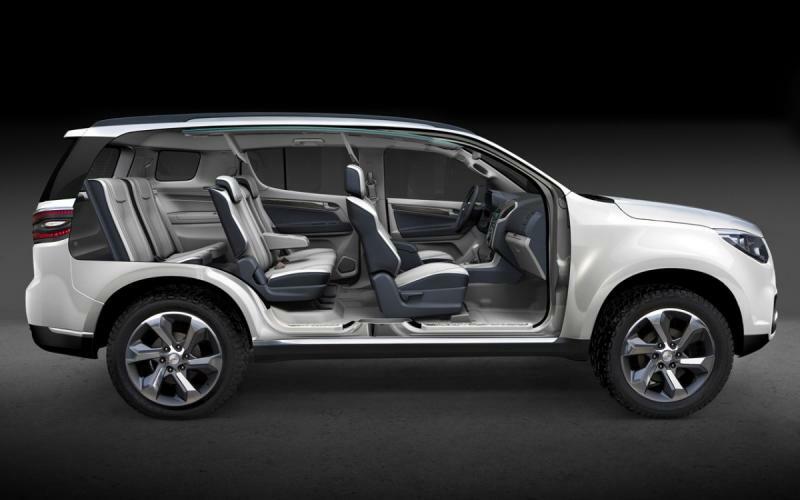 Again, sharing much in common with the Colorado, the TrailBlazer interior is modern and practical. According to Chevrolet: "With a flowing instrument panel, integrated center stack, and signature Chevrolet dual cockpit design, the interior of the all-new TrailBlazer combines car-like characteristics with the boldness expected of a true SUV." I’m not about to argue with them. The 7-seater promises to have a very flexible seating system, intuitive three-row tumble and/or fold-flat seat versatility and additionally promises to have best-in-class spaciousness for the third row passengers. One neat feature that will hopefully carry over into production is the overhead console that runs the length of the vehicle to channel cool air to passengers in the rear of the cabin, but also house screens for onboard entertainment to help pacify the kiddies on long trips (or when stuck in traffic on short trips). Perfect! The middle row seats are in a 60/40 split and can tumble or fold-flat. The seat-back also reclines by up to six-degrees, and includes a fold-down armrest with integrated cup holders. The back row features a 50/50 split, with the seats folding flat when not in use. So the TrailBlazer will have a similar load capacity to the Pajero Sport, and obviously much superior the Forturner which has what can only be described as a very poorly thought out seating system for the third row. So, while you are waiting for the unveil tomorrow, you can have a look at the images here, and although the final version will lack some of the "cool" on offer here, it is hard to imagine that Chevrolet will manage to mess up what is essentially a very nice truck design. 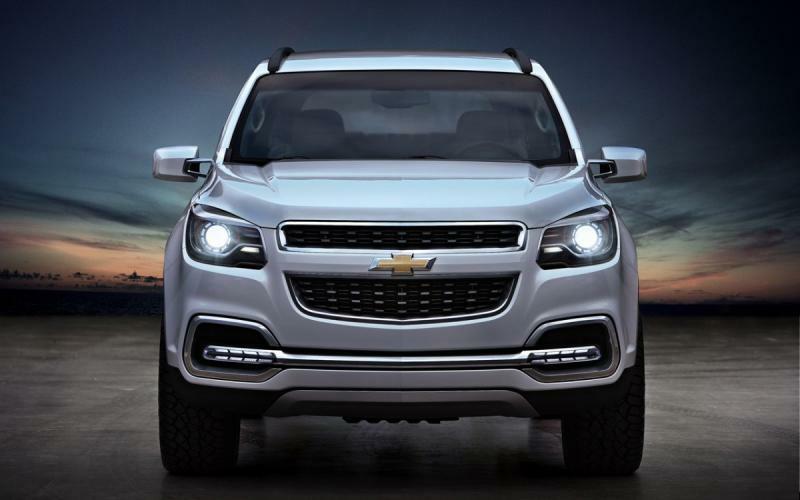 Combining the handsome exterior looks with a practical and well thought out interior design, all built on top of a tough truck platform, the Chevrolet TrailBlazer is sure to be a compelling option in the SUV market. You can visit the Chevrolet TrailBlazer launch site to watch the launch.